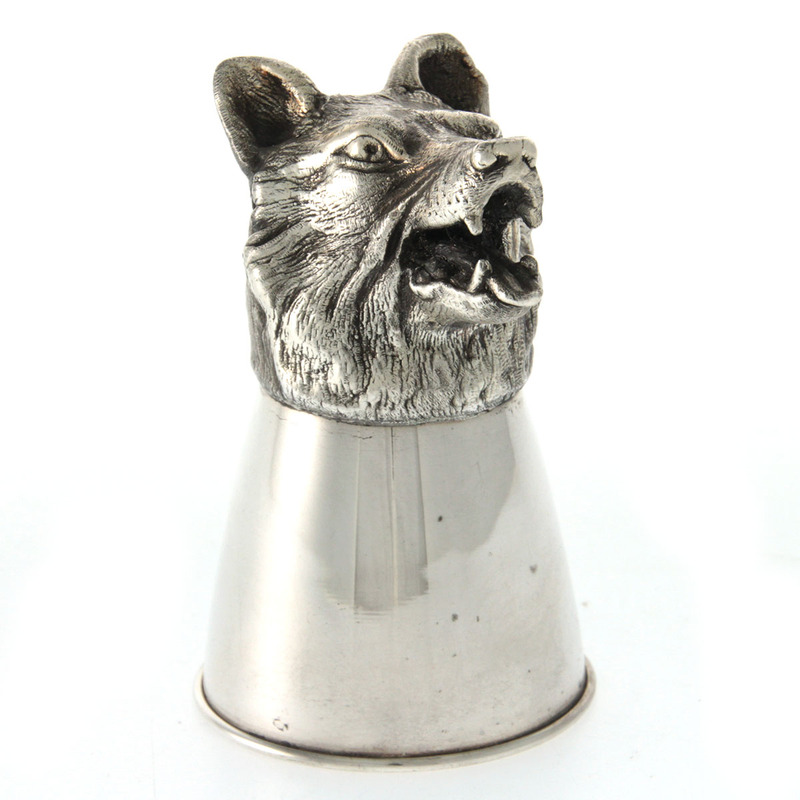 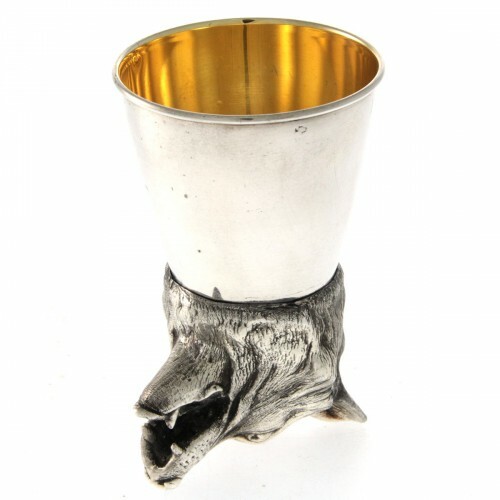 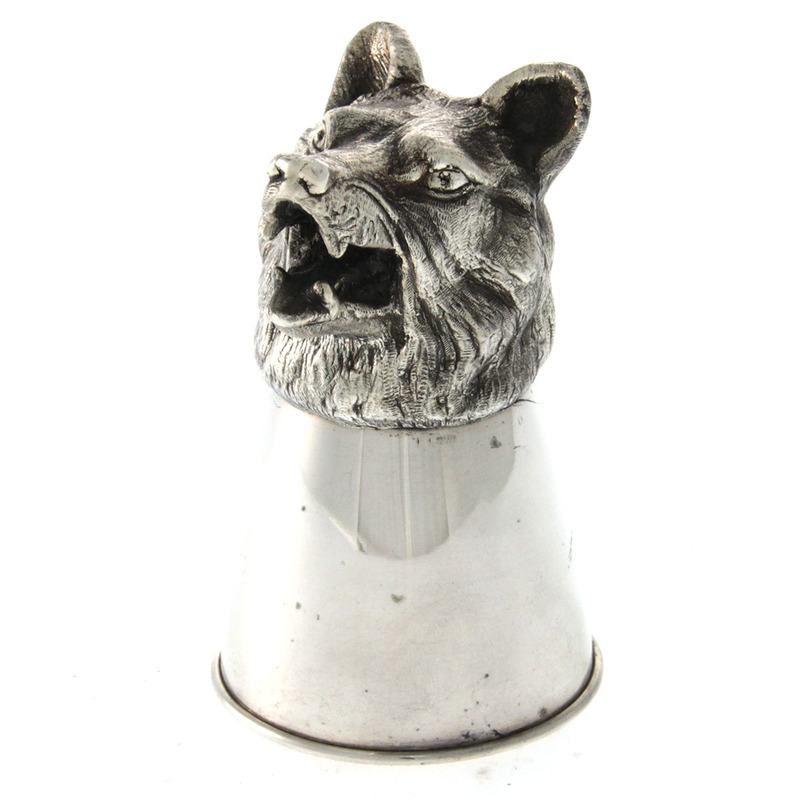 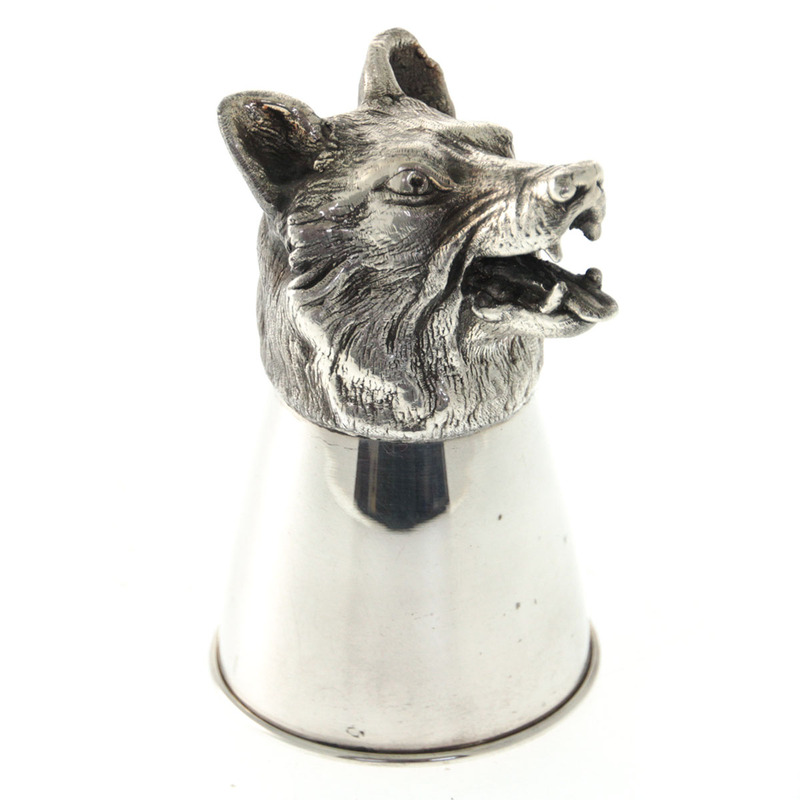 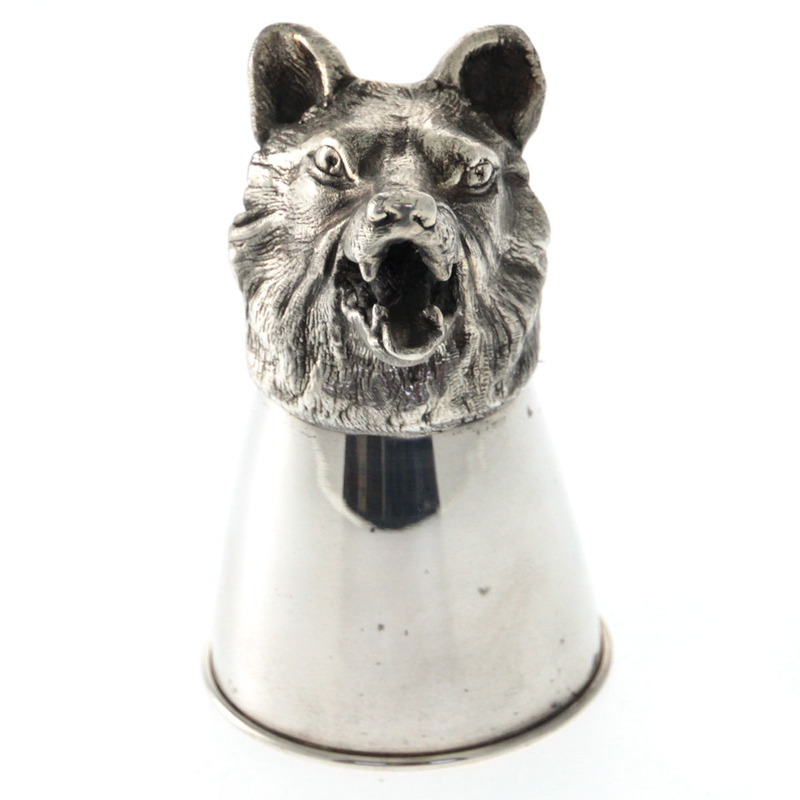 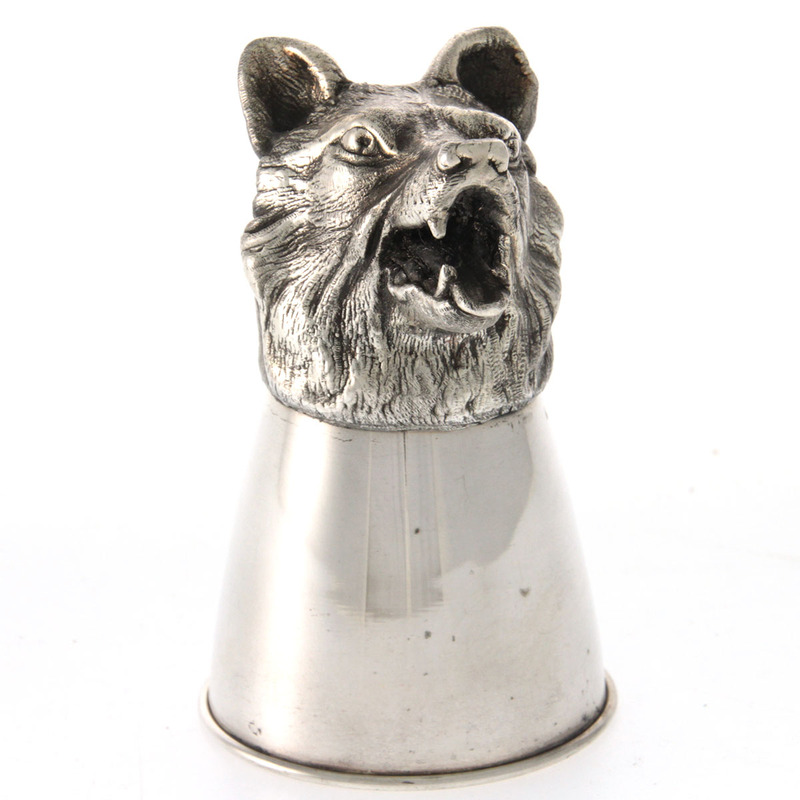 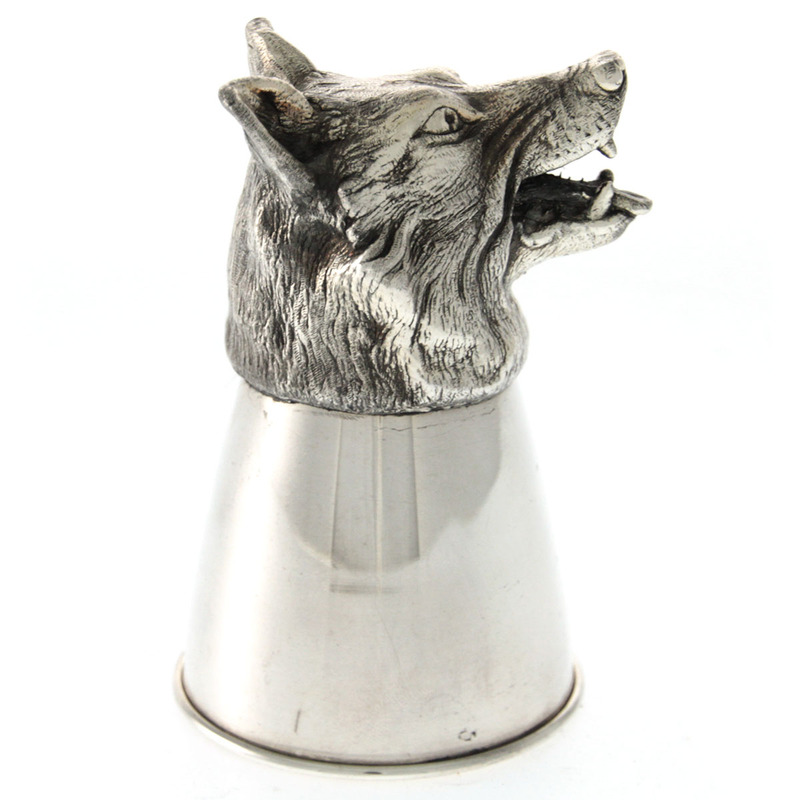 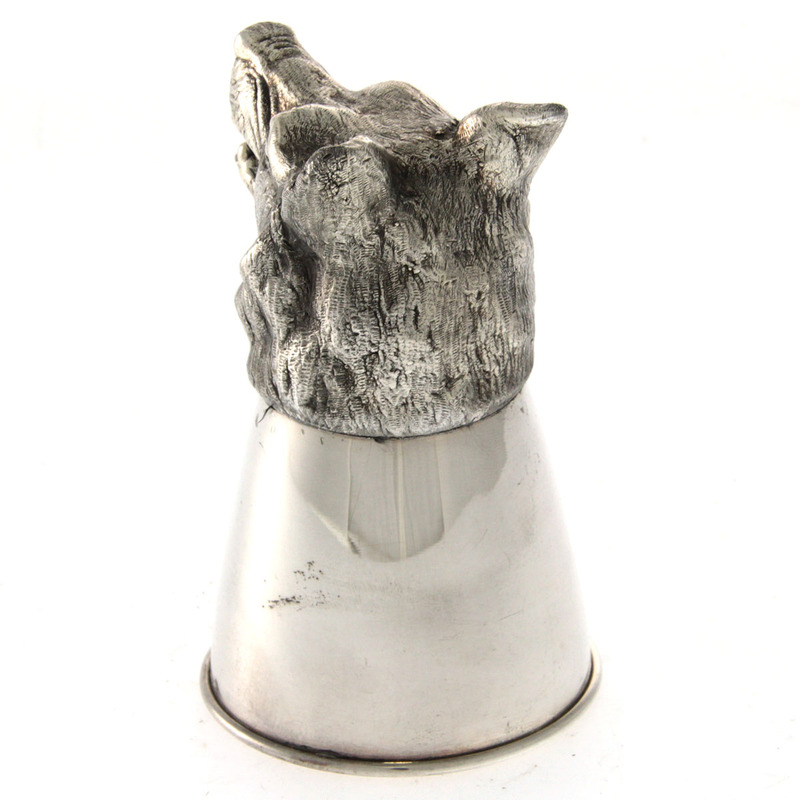 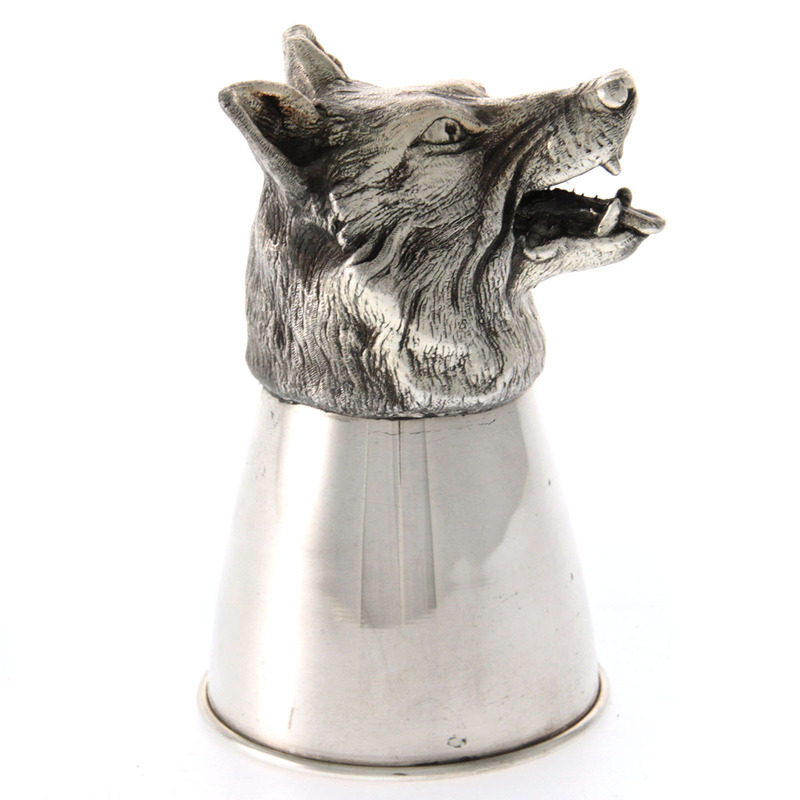 Pasarel - Novelty Sterling Silver Wolf Stirrup Cup. Novelty Sterling Silver Wolf Stirrup Cup. 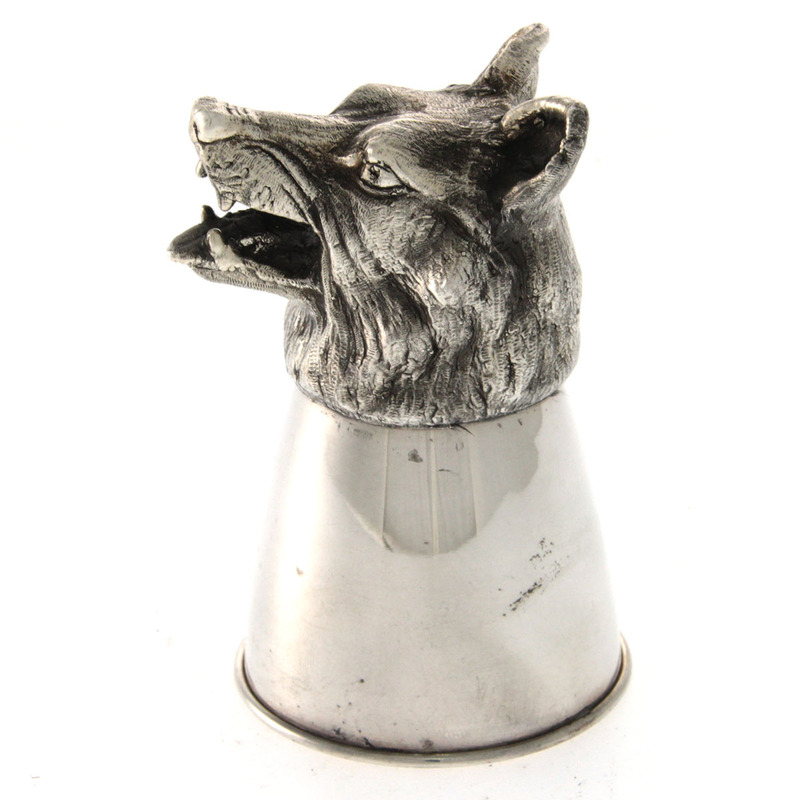 Beautifully shaped as a Wolf’s head with textured surface to simulate hair. 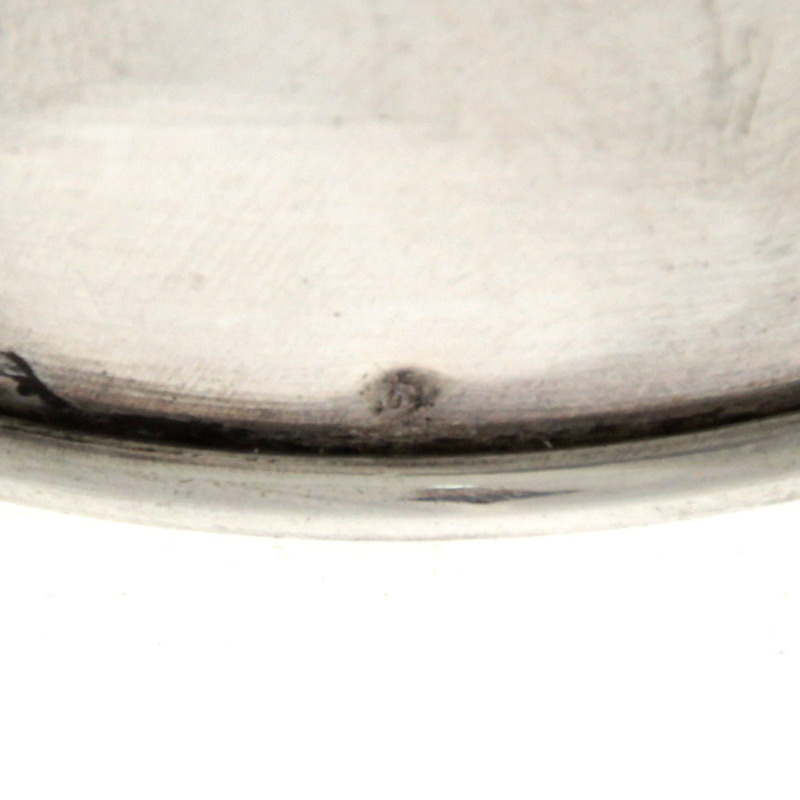 Marked – 925 for sterling silver.